An homage to some of the 440 species of birds that have been reported on, over and around Lake Atitlán. Recently I stopped by the Centro Comercial San Rafael on Calle Santander in Panajachel to see the progress my friend and fellow birder, Richard Rivera, had made on his dream of creating a bird art museum. As I approached this little mall, I noticed large, beautifully hand-painted bird murals on a wall toward the back left side. Passing through these, I was immediately greeted by a widely grinning Richard, who invited me in for a tour. He opens the tour with introductory remarks relating to the work of the 18th century Swedish botanist, physician and zoologist Carl Linnaeus (Carlos Linneo), the father of taxonomy whose system of naming, ranking and classifying organisms has been in use since the 1740s. This method of bird classification sets the order for the tour. Moving counter clockwise around the garden, Richard shows me photos, paintings and carvings of some of the 440 species of birds that have been reported on, over and around Lake Atitlán. We start with lake and shore birds; paintings on the wall behind each grouping represent the species’ habitat. 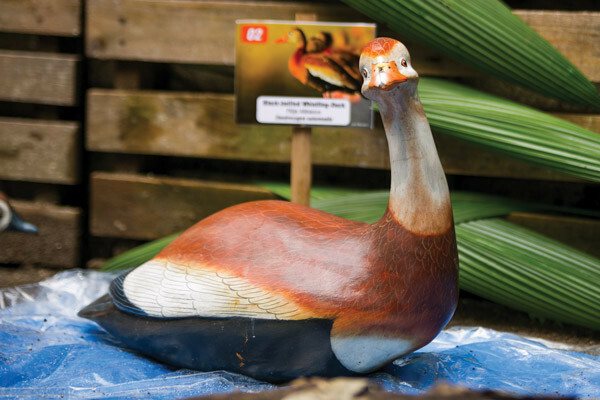 Among the photos are stunningly life-like and beautifully hand-carved models of some of these birds. As he talks about birds, Richard also talks about his larger vision for the museum — using art to teach schoolchildren the importance of birds to the local culture. If you’ve seen the beautiful huipiles of the women or the pants worn by the men of Santiago Atitlán, you have an idea how much birds mean to local culture. In the town’s church, there is even a carving on the pulpit of a quetzal reading from the Bible. 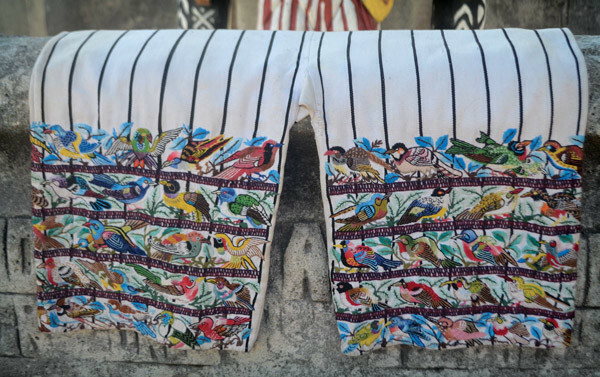 Bird motifs adorn traditional clothing in men’s pants from Santiago Atitlán. 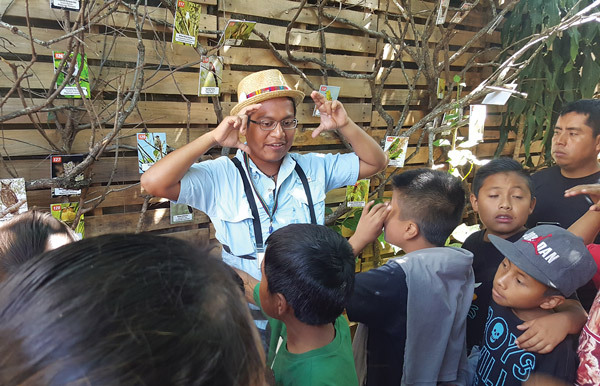 Kids also learn the important role of birds in agriculture, especially in the production of organic shade-grown coffee, now so critical that the very best brands bear the “bird-friendly” label. Many of the birds seen here during the northern winter are migratory birds. They spend about half the year (November through April) in Guatemala and the other half in North America, where they nest. Shade-grown coffee is considered second only to natural forests as a habitat for these species, which help control insect pests, including the coffee-borer that otherwise destroys the coffee beans. The concentration of birds here during the winter attracts bird-watching tourists who have an incredible opportunity to view the migrant birds much more closely here than at home. For many North American birders, the cost of a trip to Guatemala is actually more affordable than traveling elsewhere in the U.S. to see birds. Their visits support the Guatemalan economy because the tourists need guides, transportation, lodging, meals and other hospitality services. 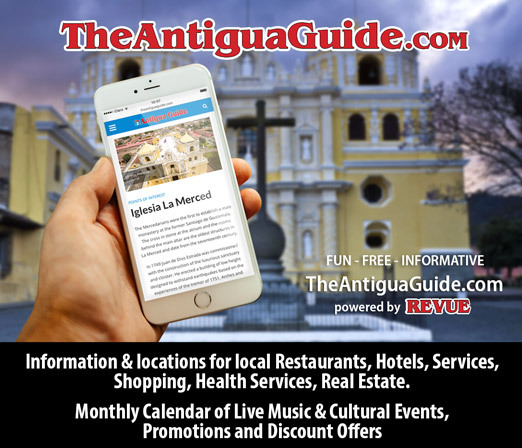 An industry with huge growth potential for Guatemala, aveturismo or bird tourism is the world’s fastest-growing outdoor activity, generating billions of dollars annually. One of the many life-like displays at the multi media museum. 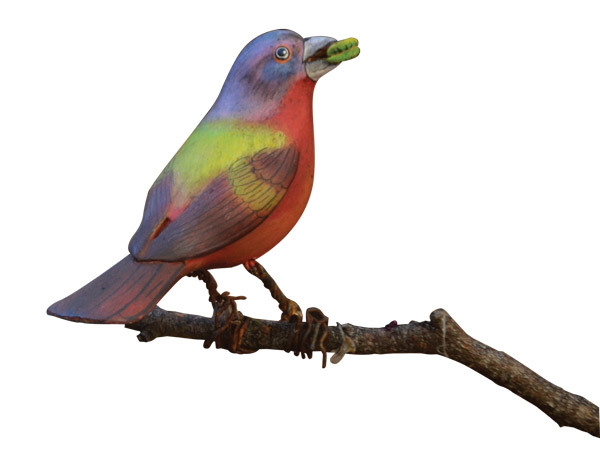 The Bird Art Museum uses art to engage young visitors, who color in drawings of different birds, including the brilliantly plumed painted bunting, its hues so abstract that it might have been designed by a 6 year old. Kids are also introduced to the fascinating use of binoculars. A whole curriculum has been designed to help local teachers with bird-related classroom activities, which culminate with a visit to the Bird Art Museum. Students are encouraged to paint a bird mural for their school walls to increase awareness of birds and their importance to culture, agriculture and the economy, and to encourage preservation of the environment. Kids also learn the important role of birds in agriculture. 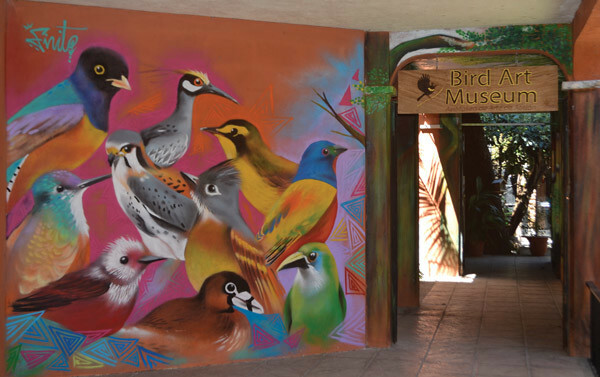 Whether you are a student, an avid birder or just curious, the Bird Art Museum in Panajachel is worth a visit. Sales of locally handmade, bird-themed souvenirs support the museum, and you can arrange day trips, including hikes on the Atitlán and San Pedro volcanoes, to see the birds up close. 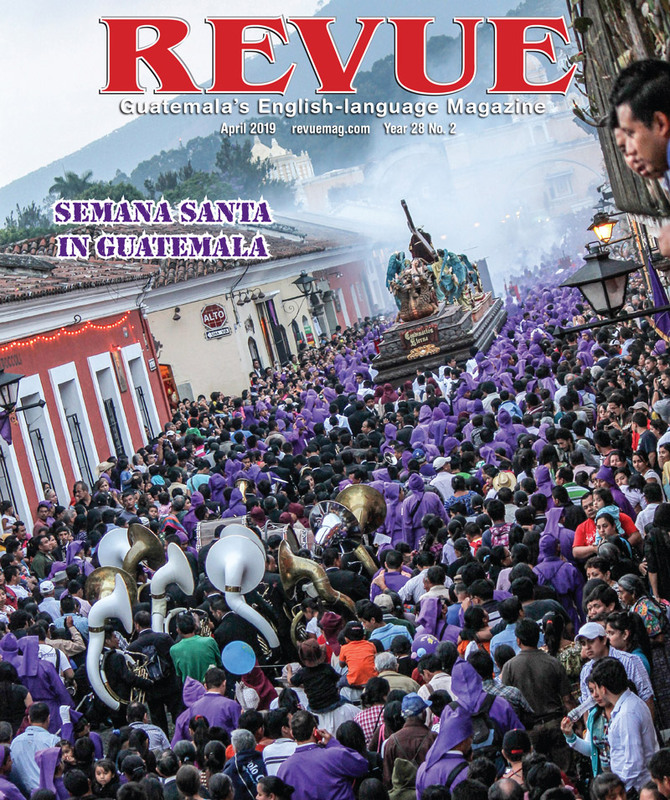 REVUE magazine article by Clive Rainey CRainey@habitat.org, photos by Héctor Giovani Xep Coz. Is there a website address for the BIRD ART MUSEUM in Panajachel, or for Richard Rivera ??? I really enjoyed this article, I’d love to visit the museum. Yet another reason to revisit Guatamala.